Jamaica is home to a magnificent landscape of rolling mountains lined by endless white‐sand‐beaches, covered by lush foliage and crisscrossed by streaming rivers and cascading waterfalls. Capturing the essence of this enchanted paradise, our all-inclusive vacations in Jamaica feature the warm hospitality and natural beauty this country is known for. With Sandals’ exclusive "Stay at One, Play at All Sandals" program you have the option of enjoying the amenities of any other Sandals or Beaches resorts in Jamaica. 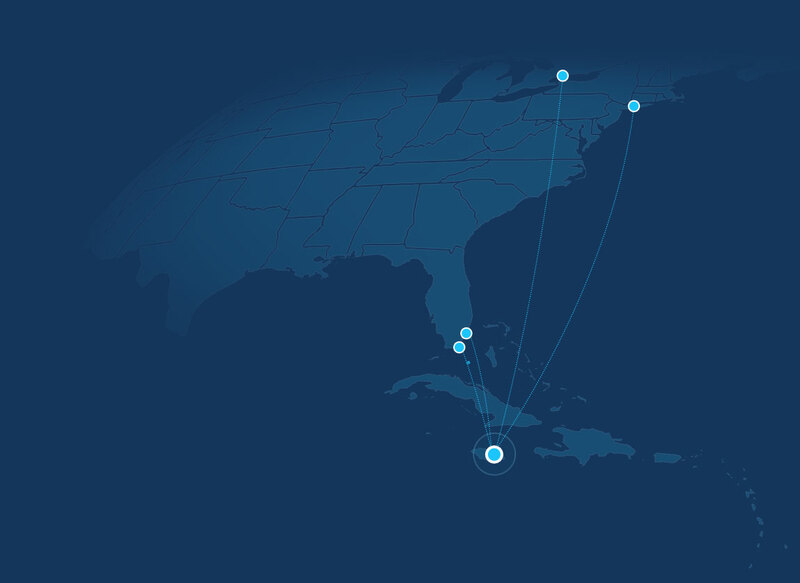 Regardless which Sandals you book, there’s no better way to get to know the 4 corners of Jamaica &dash; All included. Negril's Seven-Mile Beach has been voted many times over as one of the best in the world, known for its dramatic sunsets, silky white sands, clear turquoise waters, and spontaneous island spirit. 52 World-Class restaurants and 34 bars from Paris to Tokyo, Milan to the Pitons, your gourmand soul will revel in the succulence of classic, contemporary, and creative dishes served up in all six Sandals Resorts in Jamaica. You'll be an honored guest at any of 52 restaurants, each with its own unique ambience and setting. Unlock the wonders of Jamaica's untainted South Coast on this amazing adventure to the beautiful YS Falls, one of Jamaica's finest natural attractions featuring seven waterfalls, and the historic Appleton Estate rum distillery. This is an opportunity to experience two of the islands most amazing locations. These stunning swim-up Love Nest Suites, ideally situated on one of Jamaica's most iconic beaches, offer an exotic escape for two people in love. All suites feature a Sandals signature Tranquility Soaking Tub™ for two and the ground floor suites boast swim-up access from the pool. Everything at Sandals South Coast is designed to bring you closer to the Caribbean’s beautiful turquoise waters. From the spectacular Over-The-Water Bungalows to Latitudes°, the over water bar featuring hammocks suspended above turquoise waters, and even an intimate Over-the-Water Serenity Wedding Chapel where couples in love can glide down a glass aisle surrounded by panoramic views. You're a member of the club, recognized as one of the finest in Jamaica by Golf Digest and Frommers Travel Guide. This magnificent 18-hole course rises 700 feet above sea level in the lush hills of Ocho Rios, with a practice range, putting and chipping greens, pro shop, restaurant and snack shack. Experience the majesty of Dunn's River Falls, one of Jamaica's most magnificent natural treasures and one of the globe's most gorgeous spots. Feel the thrill of "riding" the dolphin belly-to-belly, interact with the colorful birds, exotic snakes and iguanas on the nature trail and much more! The birthplace of jerk, reggae, and Blue Mountain Coffee, Jamaica is a wonderland of allure and stunning, natural beauty. From the scenic cliffs and majestic falls to pristine lagoons and bubbling hot springs, the region boasts plenty of things to do amid a diverse terrain and offers tours and excursions that satisfy the whims of the most adventurous or the most laidback traveler. The very first Sandals is a masterpiece of design featuring stunning new accommodations including the Oceanfront Swim-up Suites, Romeo & Juliet Suites, and Beachfront Butler Suites. Sandals Royal Caribbean features innovative suites including Swim-up Crystal Lagoon Suites and the highly anticipated Over-the-water Suites. Minutes away on the resort’s private offshore island. This world-class beachfront resort combines a laid-back atmosphere with refined elegance. Spanning the longest and best stretch of Jamaica's famous seven-mile beach. No place embodies the soul of Jamaica like Sandals Ochi. Choose the energy of the Caribbean Riviera and chic Ochi Beach Club overlooking half a mile of white-sand beach, or the secluded Butler Villas & Great House Estate. Offering just 74 luxurious all-oceanview suites, Sandals Royal Plantation has the intimacy of an elegant private villa and the panache of a world-class all-inclusive Caribbean beach resort. 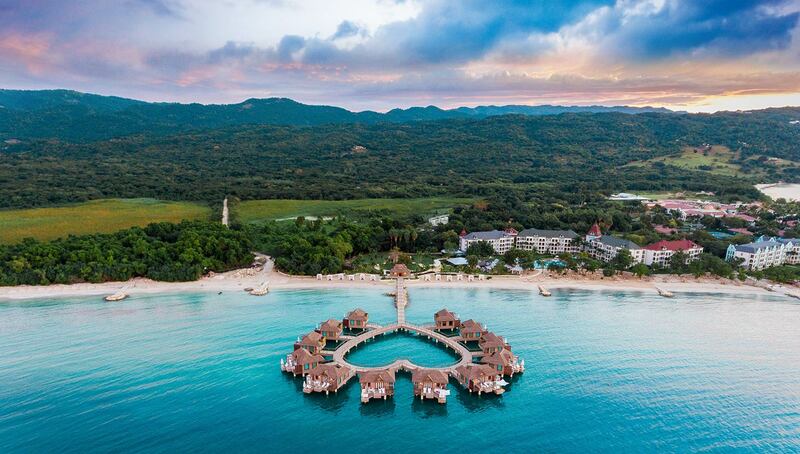 Discover Jamaica's only all-beachfront, all-oceanview resort set on a 500-acre wilderness preserve, featuring Over-The-Water Bungalows, Latitudes° Over Water Bar, and Over-The-Water Wedding Chapel. Sandals Inn may be our smallest resort, but it's big on warmth and charm. Being 10 minutes from our two other Montego Bay resorts means full exchange privileges at nine more gourmet restaurants. Experience Jamaica with the Whole Family?